It's October, and that means only three things - Horror movies, hot cocoa and Halloween! YAS! 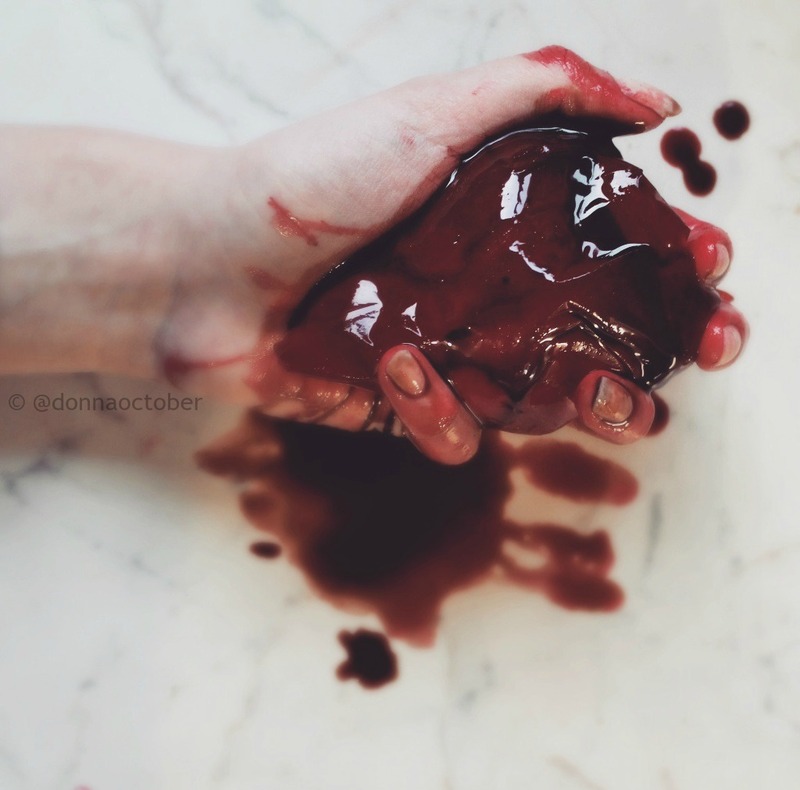 And because of that, here's a short but creepy post for a DIY gelatin heart and fake blood. I made this fake heart, following THIS video by Glam and Gore ( i love her videos so much, she's crazy talented ), with the exception of the glycerin because i wasn't able to find glycerin anywhere. I wasn't sure if it's going to work without it, but it kinda did, so for those of you who want to try this out and you can't find glycerin, you don't need a substitute, just try make it without that. For the fake blood i used chocolate syrup and red food coloring, and then i dipped the fake heart into the mixture. Eeeeewwwww...............so cool, lol. Isn't Halloween the best part of the year! I just freaking love it. OMG! !That looks so real and scary. Well done. Gosh that is so disguisting... I LOVE it :))) I love Halloween! btw I am your newer follower! keep in touch! Cool. I like this. It looks real.